The sky’s been dark and ominous for a big chunk of today. Can’t blame the end of Daylight Savings Time either—everyone’s anxiously awaiting the storms that are supposedly coming over the next three days. Today we have a 30% chance of rain, but I’m willing to bet it’s higher. Tomorrow it’s at least 50%. Can you see me doing my rain dance? You see, I always know when a big thunder-boomer is coming. Besides George pacing, panting, and needing his Thundershirt, my noggin’ tells me so. I get these weird little headaches that don’t go away, no matter how much water I drink or what kind of headache pill I pop. It’s very common here—several of my coworkers have the same thing happen to them. And they don’t let up until the storm is well underway. Still, a bit of pain is no big deal when it means 1) full rain barrels, 2) free water from the sky, and 3) happy plants. Speaking of happy plants, I’d really like the spinach to get going. The little teeny sprouts are super cute and all, but I’d like them to be bigger and heartier before things start getting colder around here. I planted them in the stock tanks to help protect them from the cold a bit. And of course, I’ve got frost cloth for the entire set up. The Malabar spinach is definitely on it’s way out and needs to be pulled out. I was hoping that there would be a bit of cross over between the two so we’d have a constant supply of spinach but alas, that is not meant to be. Good thing the chard is doing its thing. After such a weird summer, the fall veggies seem to be taking their own sweet time. Perhaps the lesson for this fall is patience. 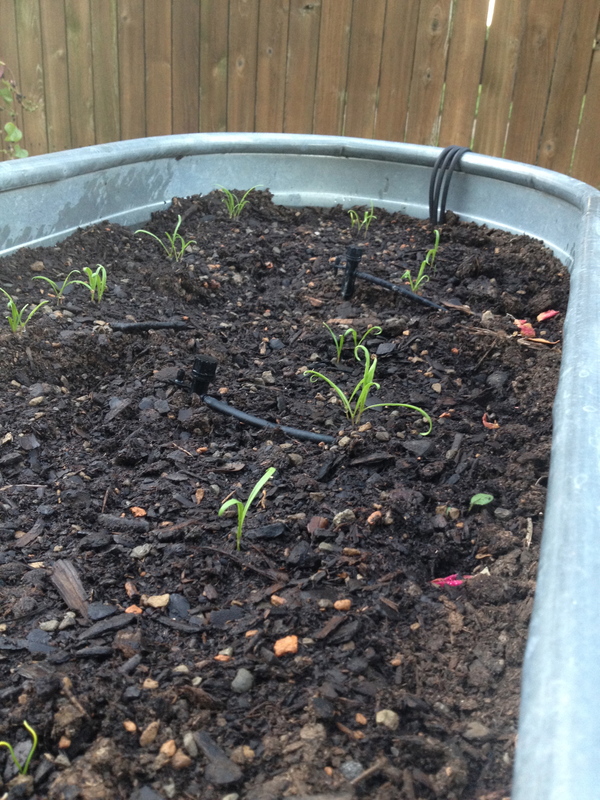 This entry was posted in Sow and tagged Gidget, Julie Petroski, north Texas, rain, sow, spinach. Bookmark the permalink. Poor George. Can you take him to work with you so he can cuddle with mommy if he gets scared? Also can’t belueve how big Gidget is now. 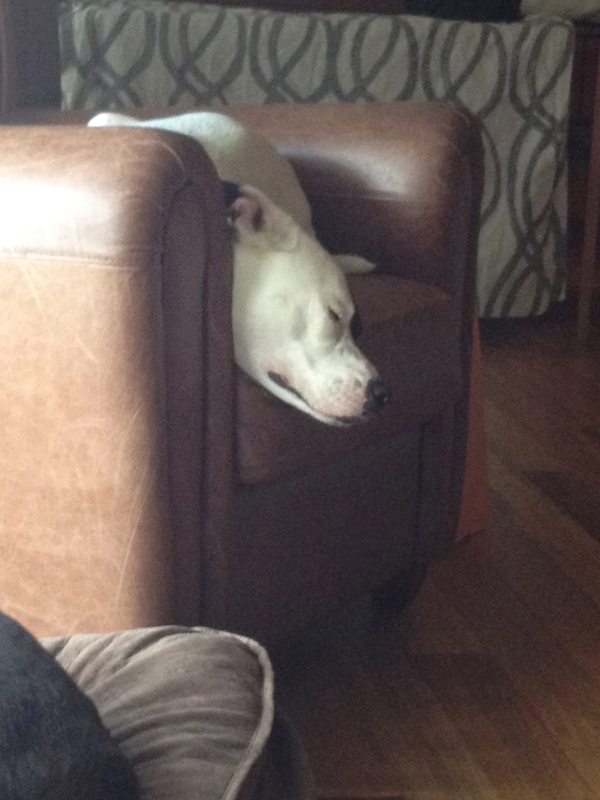 I think George is going to snuggle with Guinness and Aunt Cathy! Yeah, it’s pretty obvious that Gidget wasn’t 1.5 years old when we got her! Not exactly a little thing any longer!